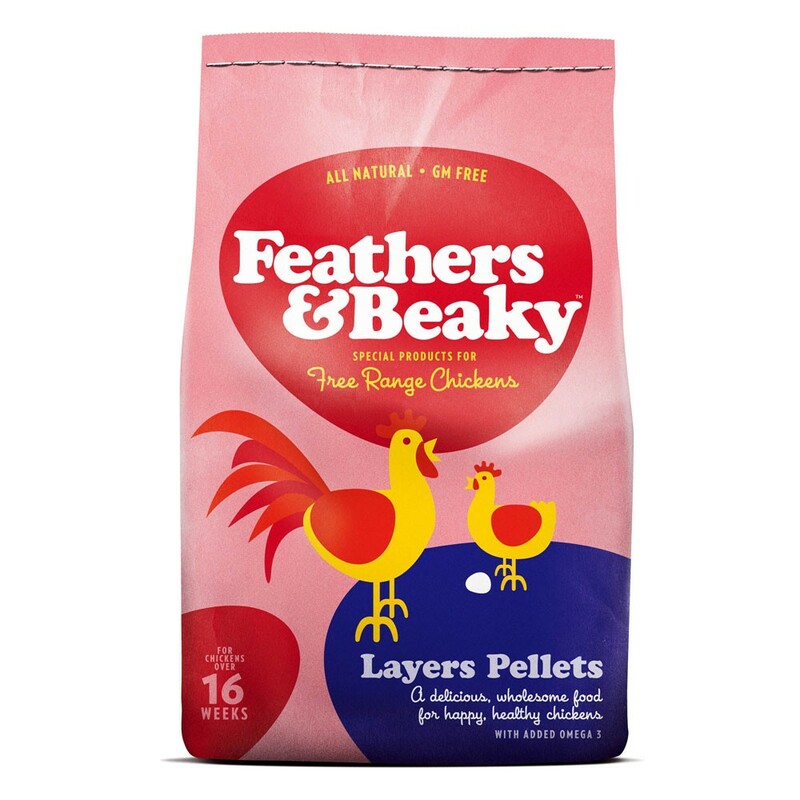 Feathers & Beaky Layers Pellets is a premium food for chickens, cockerels and roosters over 16 weeks of age. They include extracts of marigold, paprika and alfalfa to give a rich yellow colour, and limestone and dicalcium phosphate to provide calcium for shell development and strong bones. Wheat, Barley, Peas, Limestone, Soya, Extracted Sunflower, Linseed (Expeller), Maize, Vegetable Fat, Binder, Dicalcium Phosphate, Salt, (Paprika, Marigold Petal Meal, Alfalfa Concentrate Mix) Vitamin & Mineral Supplement, Methionine, Sodium Bicarbonate, Lysine. There are currently no questions for Feathers & Beaky Layers Pellets Chicken Food - be the first to ask one!